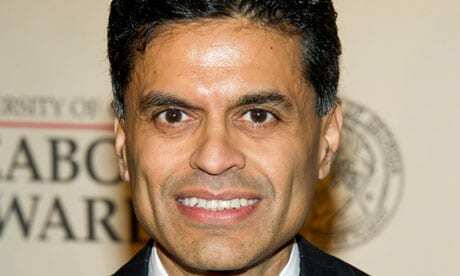 Time magazine and CNN are reinstating columnist Fareed Zakaria after a review of his work following an admission that he plagiarized parts of a New Yorker article in a Time column. “We have completed a thorough review of each of Fareed Zakaria’s columns for Time, and we are entirely satisfied that the language in question in his recent column was an unintentional error and an isolated incident for which he has apologized,” a Time spokeswoman said in a statement. This entry was posted on August 17th 2012 at 4:10pm/16:10 and is filed under Live News Column 1, Live News Column 2. You can follow any responses to this entry through the RSS 2.0 feed.